*This post was originally created by me for Darice. This post may also contain affiliate links for your convenience. Thanks for supporting Persia Lou! The New Year seems to bring with it a surge of purging, cleaning, and organizing. Maybe it comes in reaction to the excess of the holiday season or just as part of the optimism of a new start, but either way, my instagram and facebook feeds are telling me that I’m not the only one in a throw it out, clean it up, and put it away kind of a mood. The older I get the more I realize the wisdom of “a place for everything and everything in it’s place,” which means I’m finding more and more that I need places to put things. 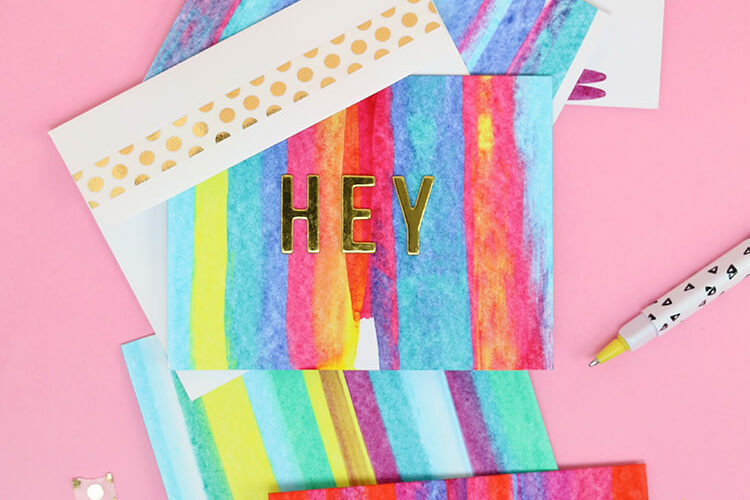 Enter pretty baskets, totes, and boxes – I can’t seem to get enough! 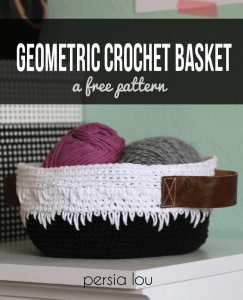 This little crochet basket will happily hide all kinds of odds and ends – whatever you have a lot of (in my case, that’s yarn) – and it will look pretty doing it too! 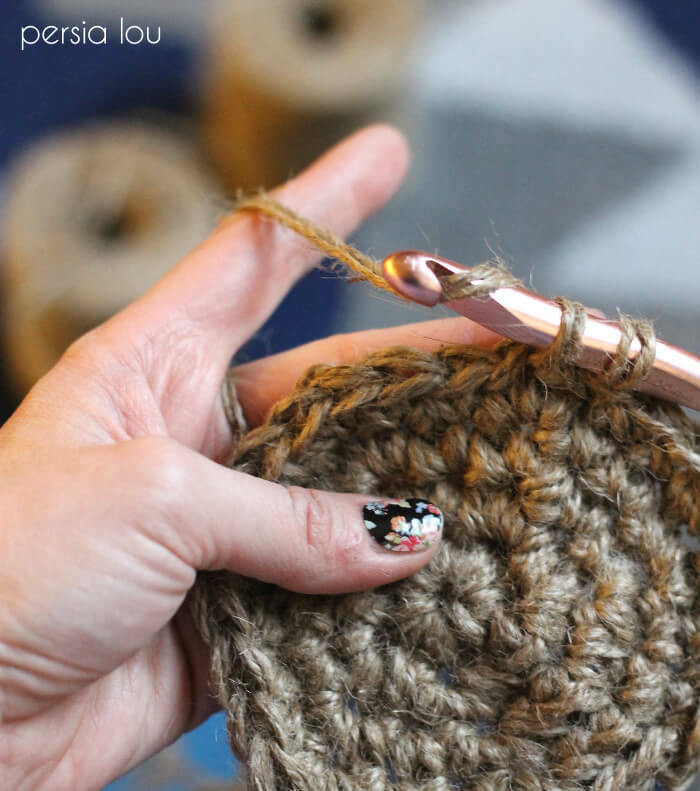 If you have only crocheted with yarn, I definitely recommend trying out some different fibers. 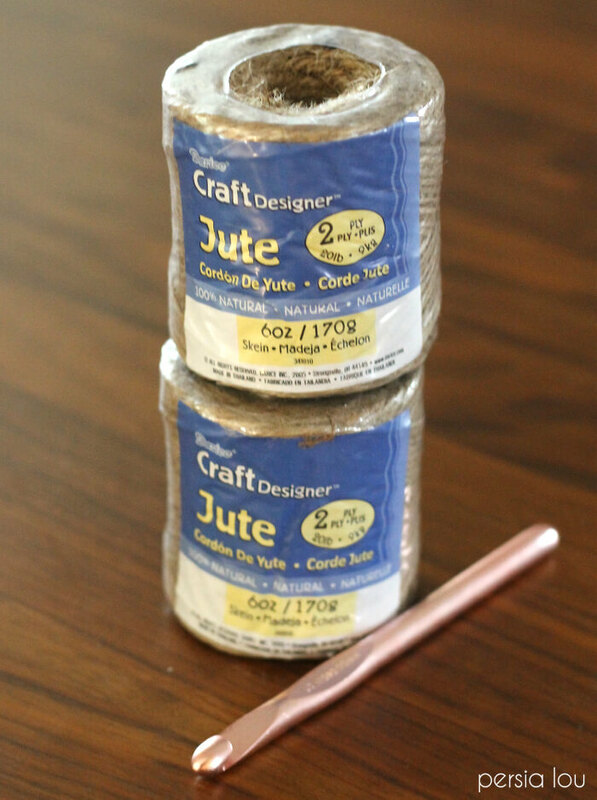 This basket is made using jute, which was fun to work with. It was a little hard on my hands, but I found that lotioning up helped a lot. 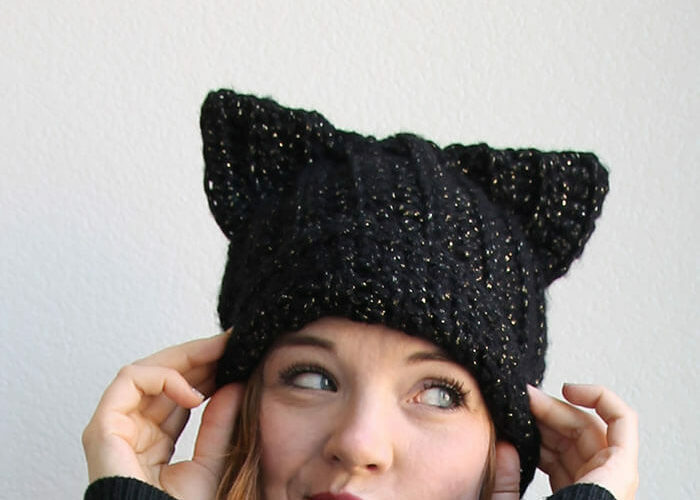 It is important to note that bobble stitches are worked with the wrong side of the work facing you. 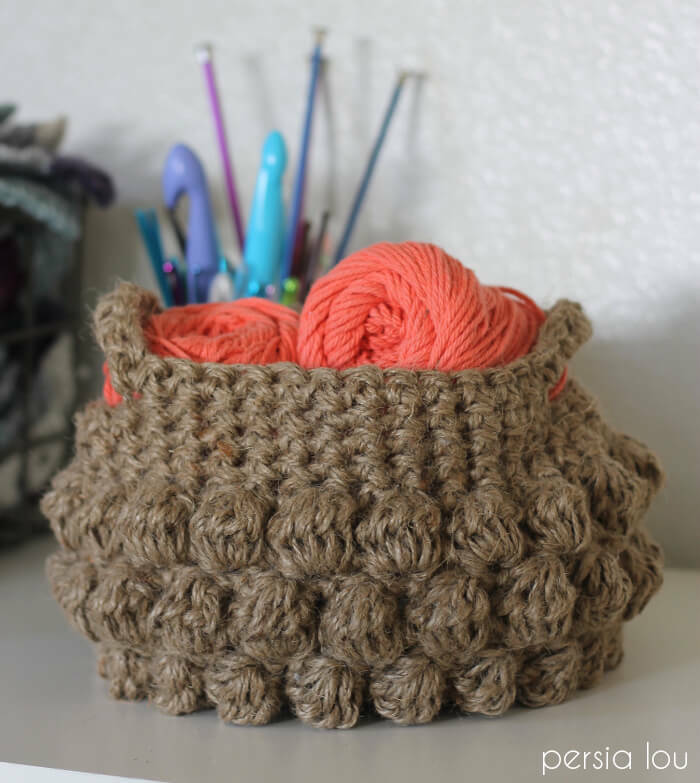 Be sure to turn your work and move in the opposite direction as noted in the crochet basket pattern in Round 9. 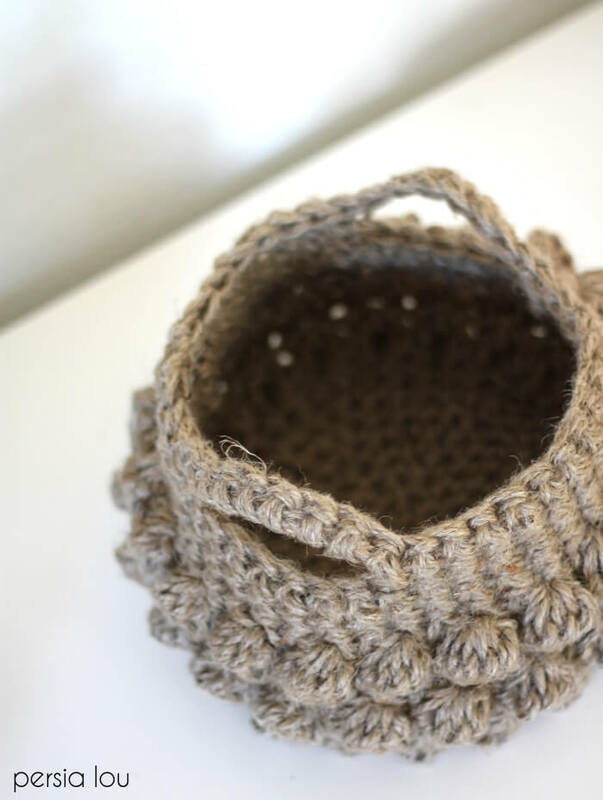 PLEASE NOTE: This crochet basket pattern is worked holding two strands of 2 ply jute together as if they were one piece. 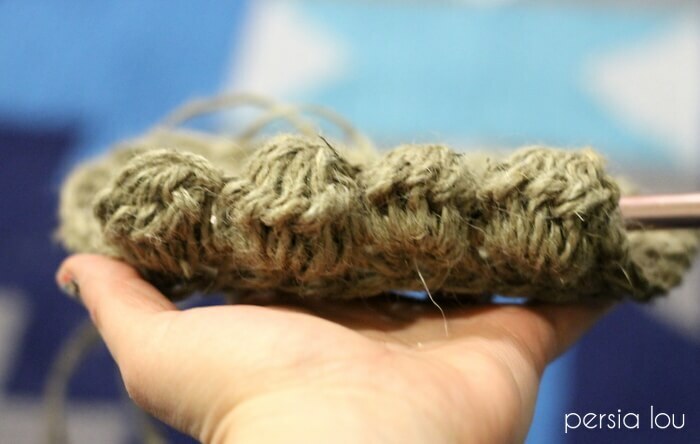 Rnd 1: Holding two strands of jute together, begin with magic loop. Work 6 sc into magic loop, sl st to first sc to join. Rnd 2: Ch 1, 2 sc in same stitch, 2 sc in each st around, sl st to first sc to join (12 sc). Rnd 3: Ch1, sc in same stitch, 2 sc in next st, *sc, 2 sc, repeat from * around, sl st to first sc to join (18 sc). Rnd 4: Ch1, sc in same stitch, sc in next st, 2 sc in next st, *sc, sc, 2 sc, repeat from * around, sl st to first sc to join (24 sc). Rnd 5: Ch1, sc in same stitch, sc in each of next 2 sts, 2 sc in next st, *sc, sc, sc, 2 sc, repeat from * around, sl st to first sc to join (30 sc). Rnd 6: Ch1, sc in same stitch, sc in each of next 3 sts, 2 sc in next st, *sc, sc, sc, sc, 2 sc, repeat from * around, sl st to first sc to join (36 sc). Rnd 7: Ch1, sc in same stitch, sc in each of next 4 sts, 2 sc in next st, *sc, sc, sc, sc, sc, 2 sc, repeat from * around, sl st to first sc to join (42 sc). Rnd 8: Ch 1, working in back loops only, sc in same st, sc in each st around, sl st to first sc to join (42 sc). Rnd 9: Ch 2, TURN (the rest of the basket will be worked in the opposite direction so the wrong side of the basket is facing you) work 5 dc bo in same st, ch 1, sc in next st, *5 dc bo, ch 1, sc, repeat from * around, sl st to ch 1 at top of first 5 dc bo to join (21 sc, 21 5 dc bo). Rnd 10: Ch 1, sc in same st, sc in each sc and ch 1 at the top of each 5 dc bo around, sl st to first sc to join (42 sc). Rnd 11: Ch 1, sc in same st, ch 2, 5 dc bo in same st, ch 1, *sc, 5 dc bo, ch 1, repeat from * around, sl st to first sc to join (21 sc, 21 5 dc bo). Rnd 12: Ch 2, work 5 dc bo in same st, ch 1, sc in next st, *5 dc bo, ch 1, sc, repeat from * around, sl st to ch 1 at top of first 5 dc bo to join (21 sc, 21 5 dc bo). Rnd 13: ch 1, sc in same st, sc in each sc and ch 1 at the top of each 5 dc bo around, sl st to first sc to join (42 sc). Rnds 14-15: ch 1, sc in same st, sc in each st around (42 sc). Rnd 16: Ch 1, sc in same st, sc in next 5 sts, ch 7, skip 7 sts, sc in next 13 sts, ch 7, skip 7 sts, sc in next 6 sts, sl st to first sc to join (26 sc, two ch 7 spcs). Rnd 17: Ch 1, sc in same st, sc in next 5 sts, work 7 sc over ch 7, sc in next 13 sts, work 7 scs over ch 7, sc in next 6 sts, sl st to first sc to join (42 sc). Finish off, weave in ends. 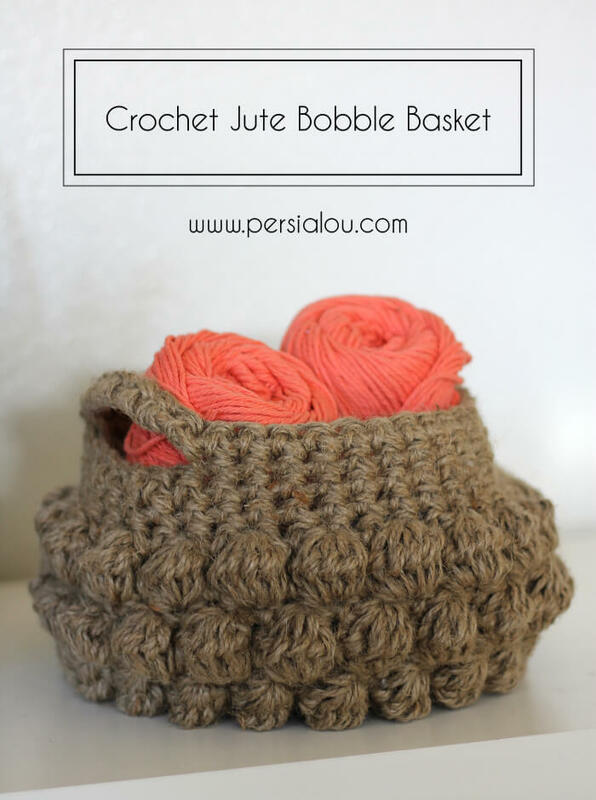 Your basket is all ready to help you organize all those bits and bobs, odds and ends. Enjoy! 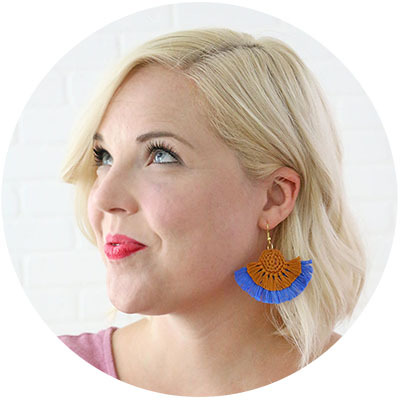 If you liked this post, be sure to sign up for the Persia Lou Weekly Newsletter so you don’t miss a thing! 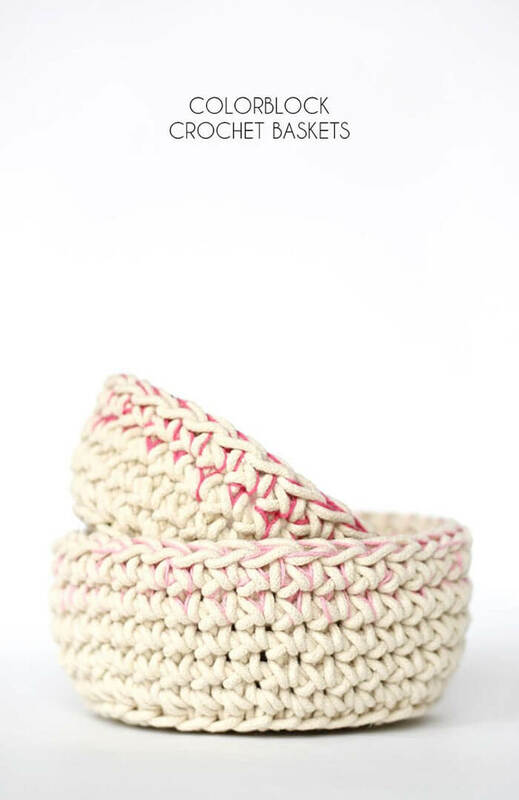 Love this basket. Thank you for sharing! 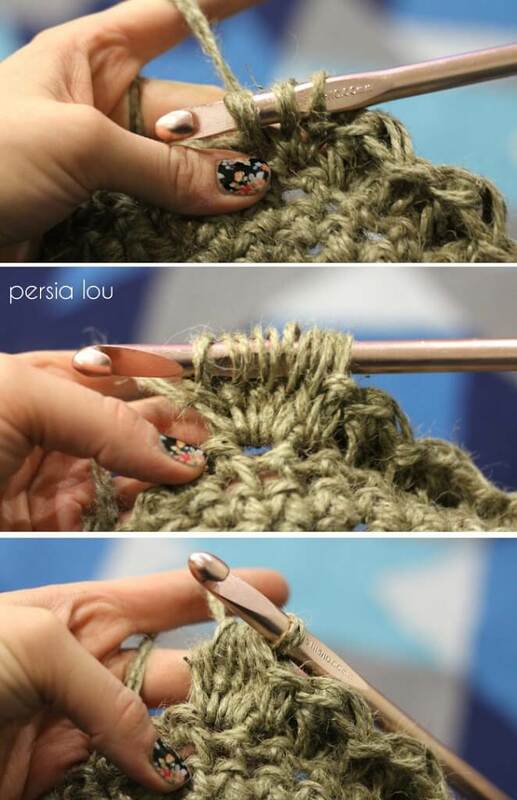 I wish I thought I could grasp the crochet concept. I&#39;d really love one of these for everything in my home. 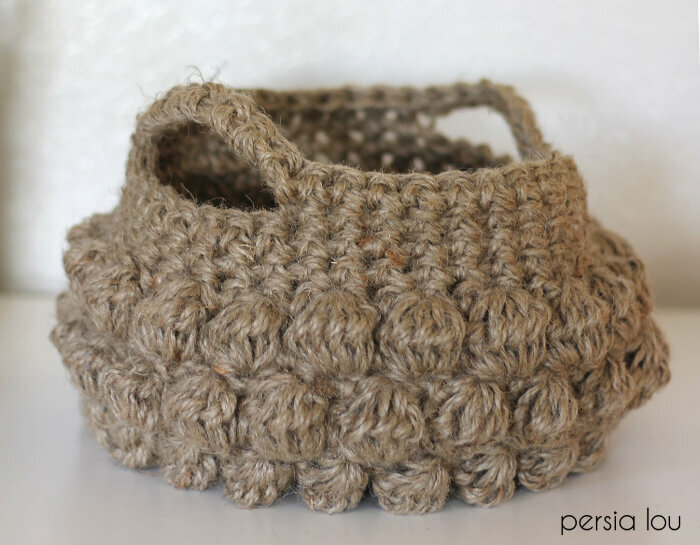 I LOVE this basket! Thank you so much. 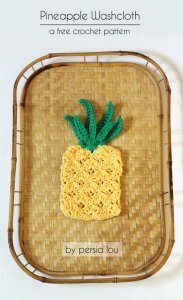 I will be making probably more than one of these this summer!